DFAT – CSIRO Research for Development Alliance | This DFAT–CSIRO partnership provided an opportunity to introduce approaches to international aid delivery that better respond to the relationship between poverty and the environment. 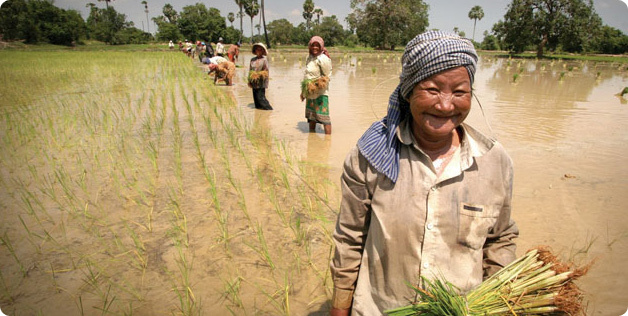 Women work hard in the rice paddies in Cambodia. Photo by Kevin Evans for AusAID. Countries in the Asia and Pacific regions face daunting environmental pressures that threaten economic growth and poverty reduction. Foremost of these challenges are managing the adverse impacts of development, escalating demand for natural resources, and climate change.